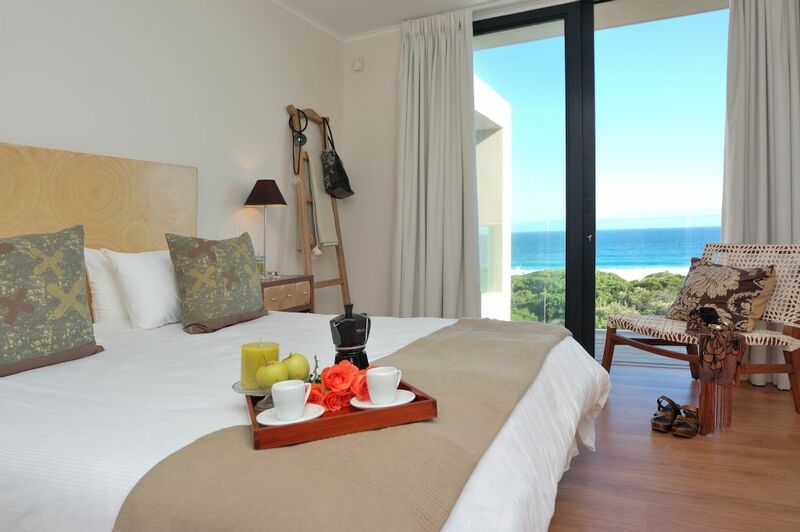 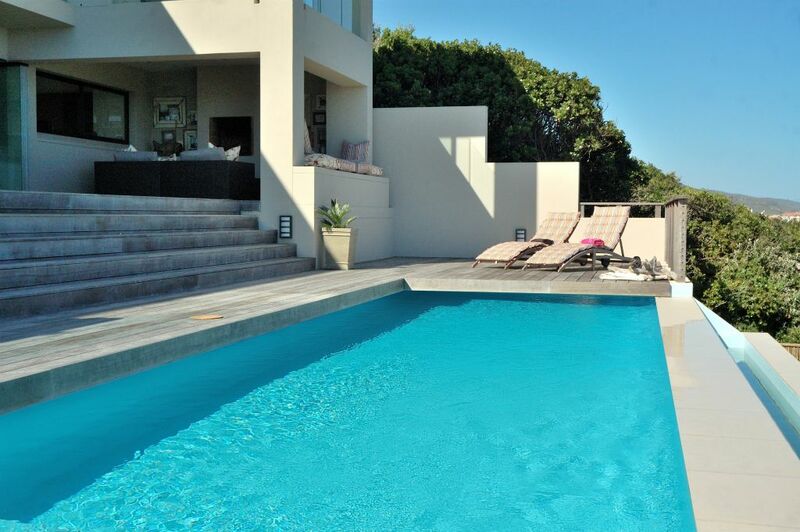 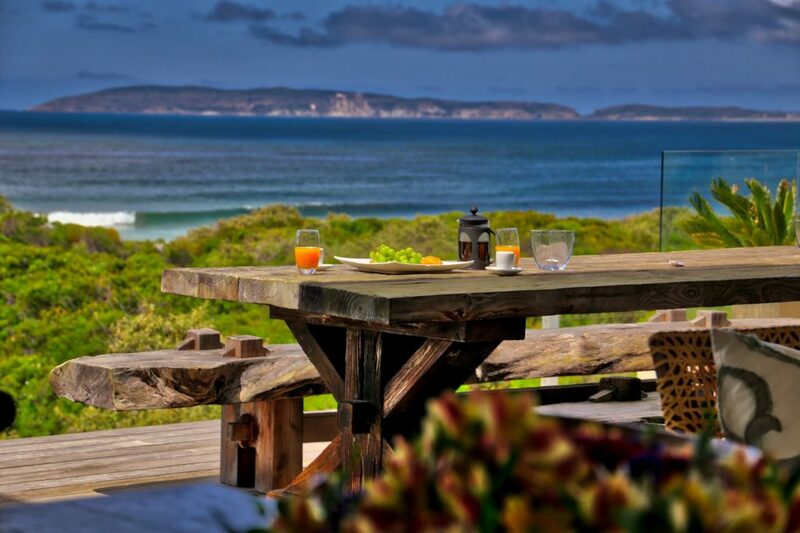 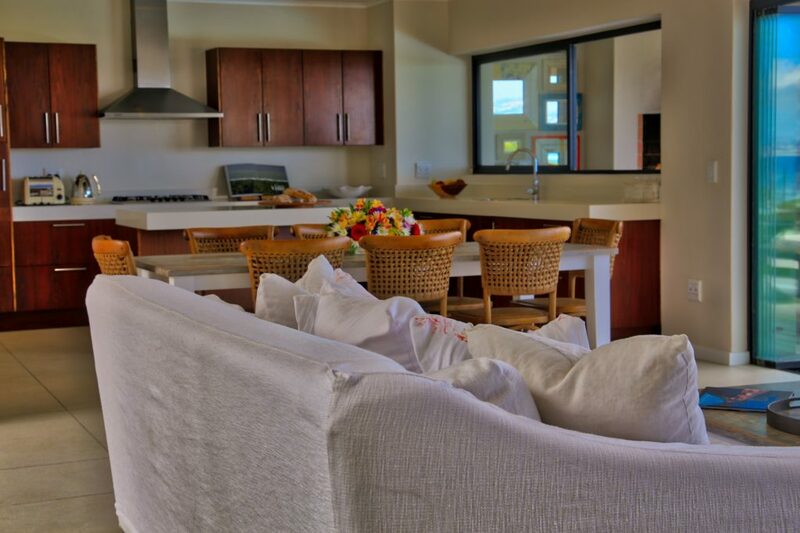 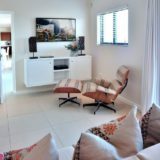 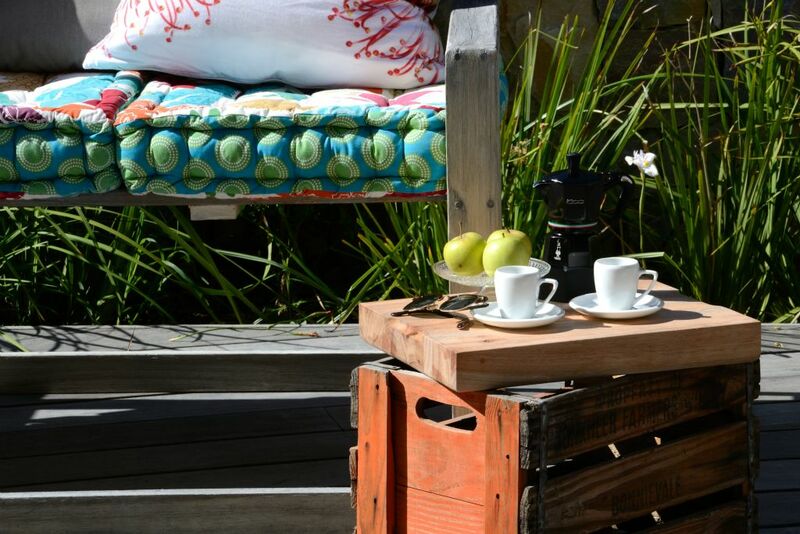 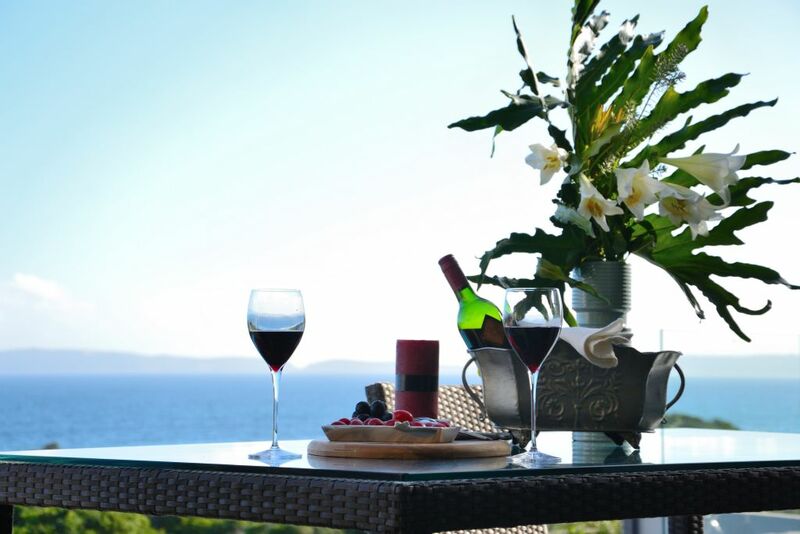 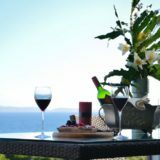 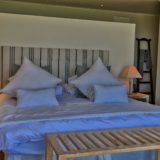 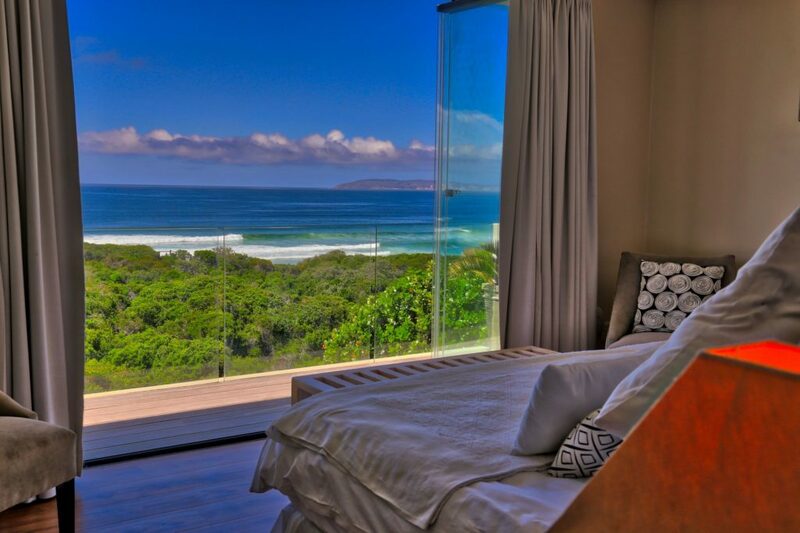 Plettenberg bay beach accommodation the perfect house in the perfect location! 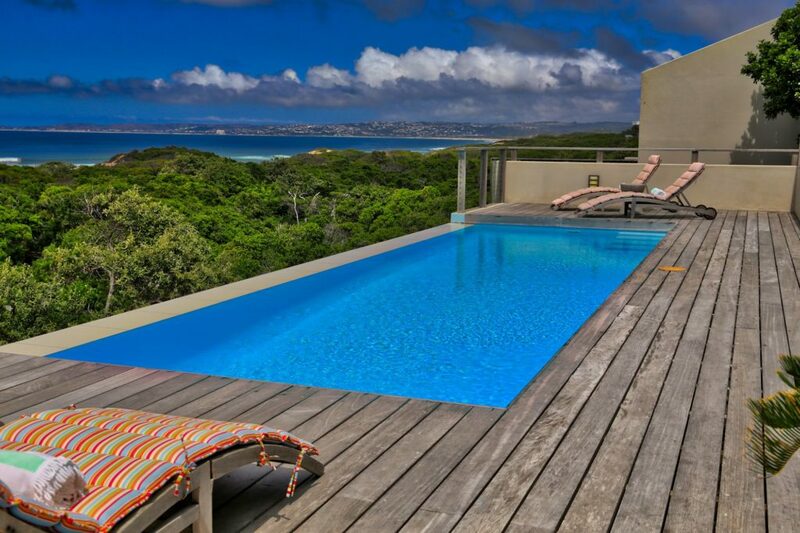 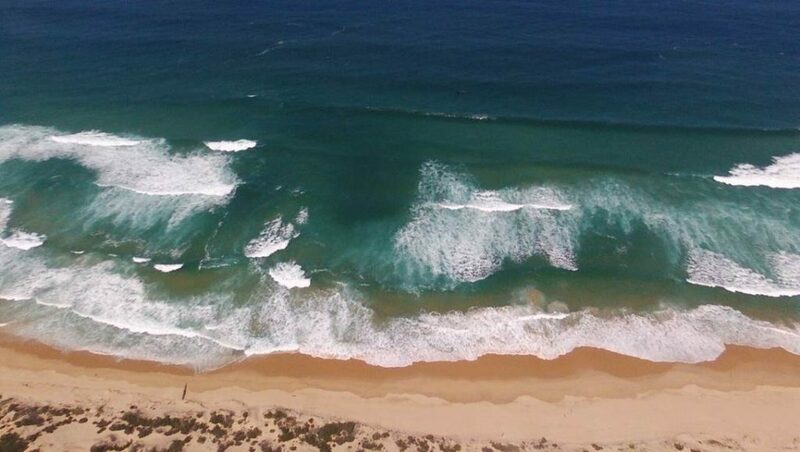 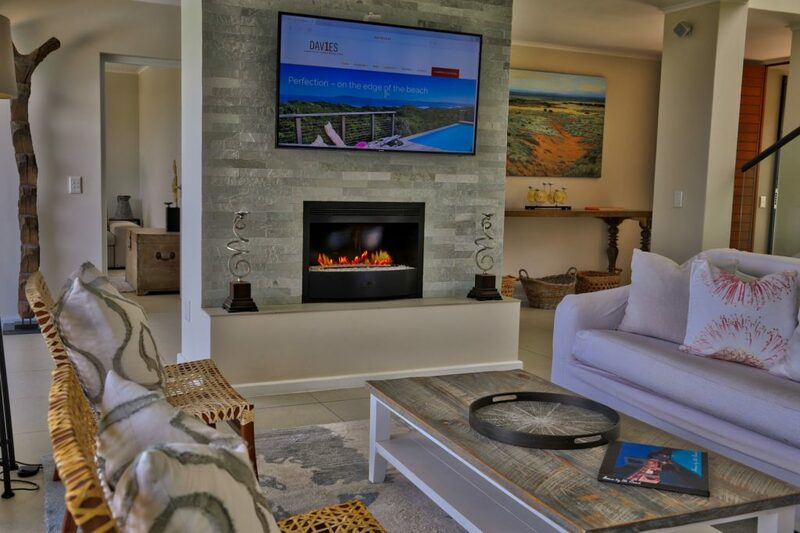 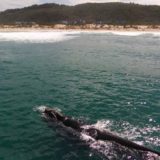 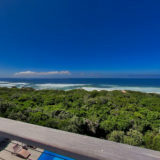 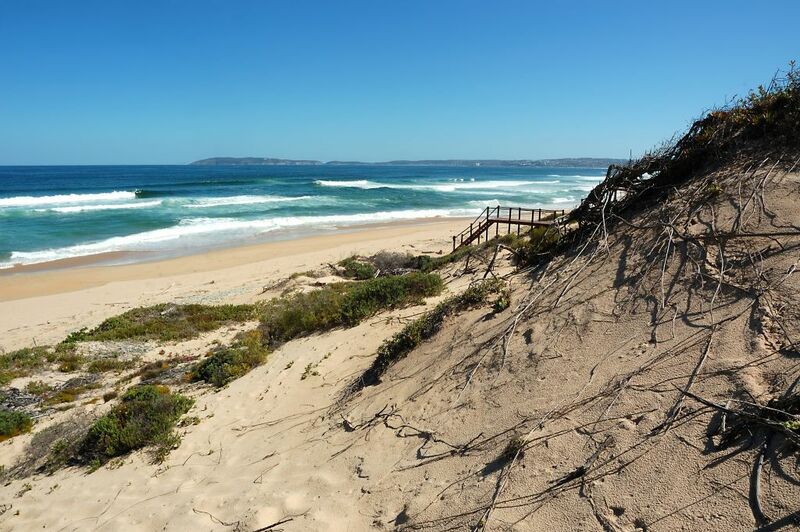 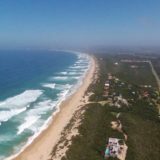 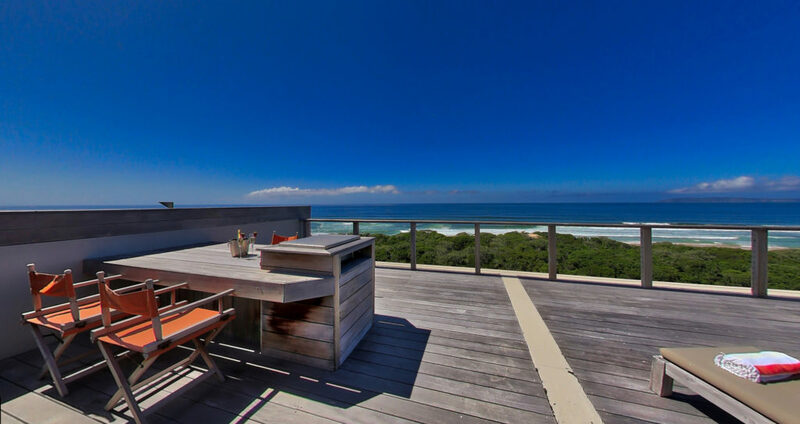 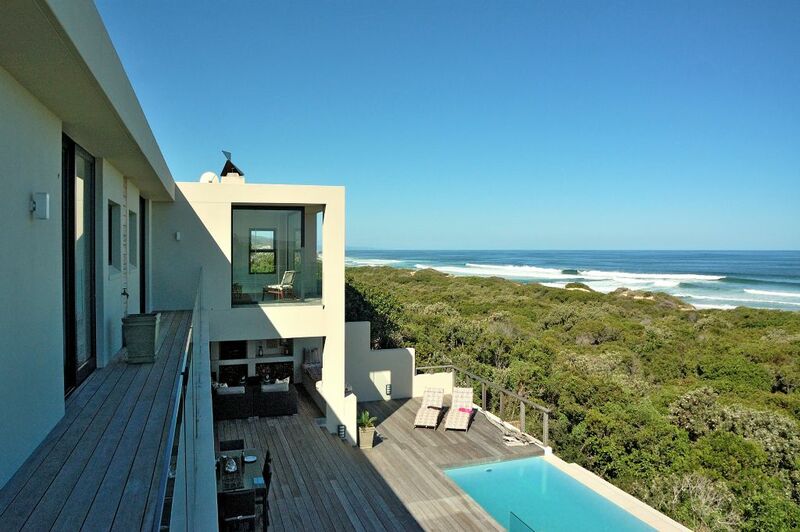 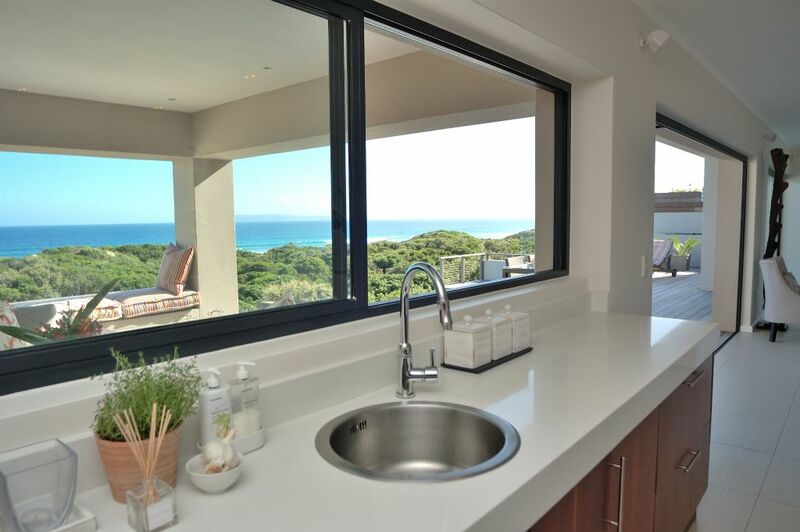 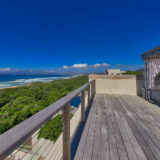 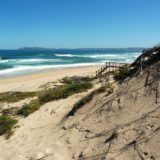 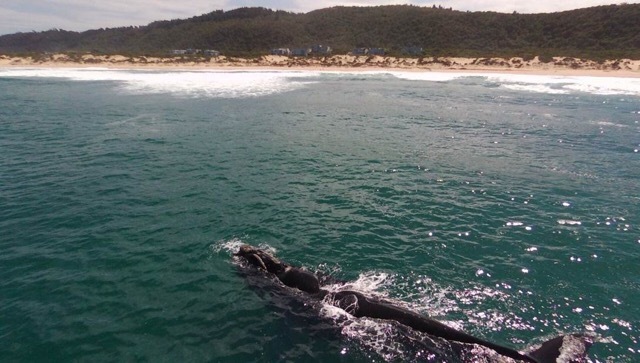 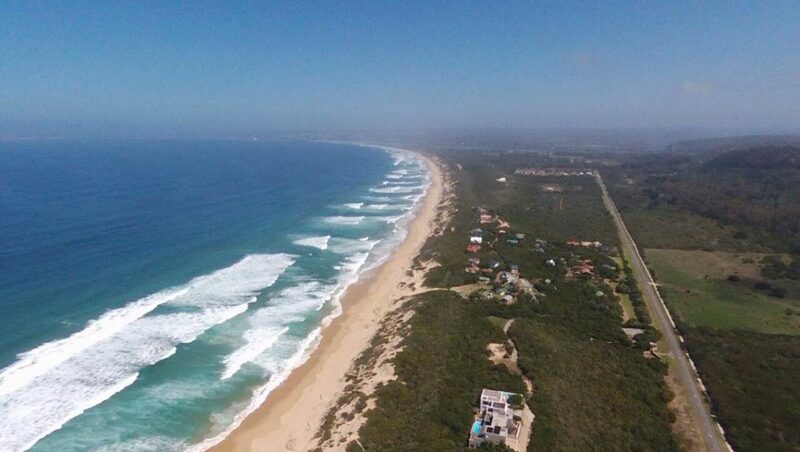 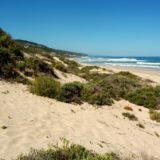 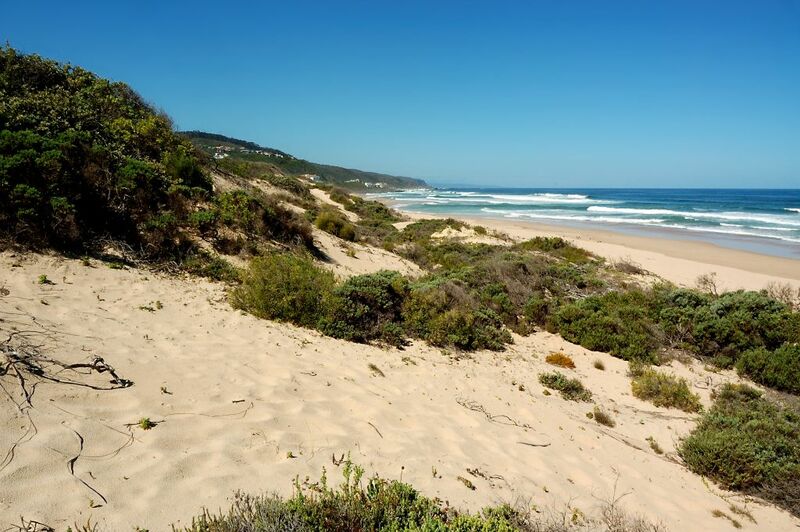 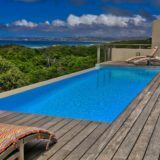 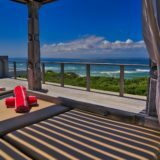 This property’s elevated position just 5km east of Plettenberg Bay offers uninterrupted sea views and is less than 100m from the Indian Ocean and the pristine beaches of Keurboomstrand where dolphins and whales can be viewed almost every day. 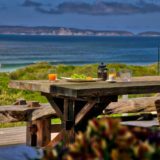 Robberg Peninsula and an endless sea-scape dominate the horizon – and at night-time Plett twinkles in the distance. 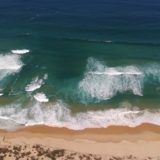 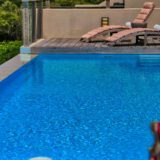 Pool: 10m rim-flow. 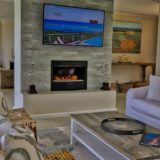 Heated by electrical heat pumps. 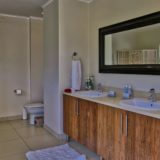 Special features: Solar-powered hot water system, 2 x LCD TV’s (with DSTV), courtyard & braai area, double garage & spacious observation & sun-deck on roof. 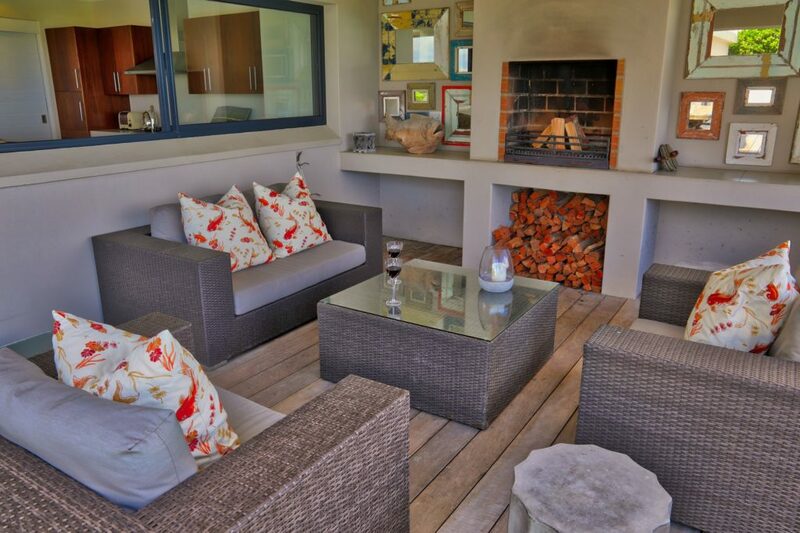 Cleverly designed to take maximum advantage of its stunning location and year-round sunshine, the house is the last word in elegant simplicity. 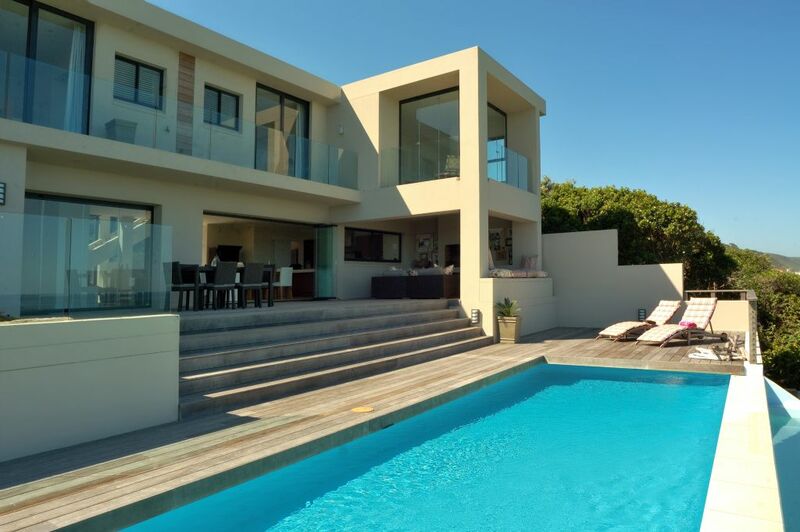 From the huge frameless fold-back doors and free-flow living/dining areas, to the eco-friendly sparkling swimming pool, this property unquestionably has the ‘wow’ factor. 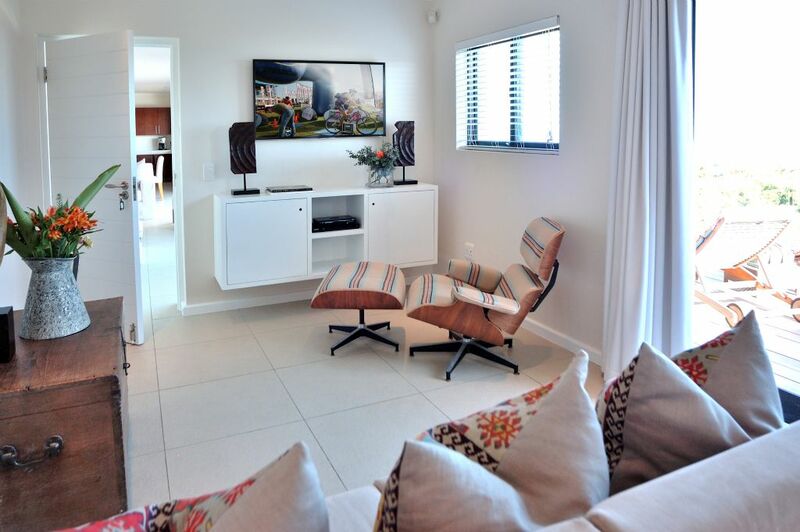 The open plan ground floor design incorporates a large lounge, kitchen and entrance hallway area with a second TV lounge / snug with separate shower room. 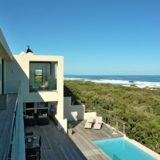 There is a double garage off the hallway. 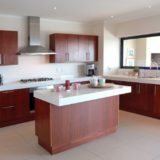 The kitchen is served by a separate scullery. 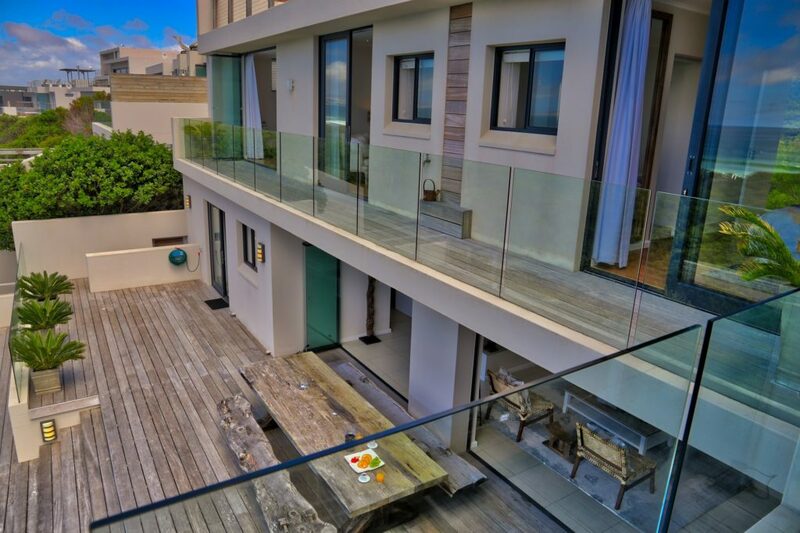 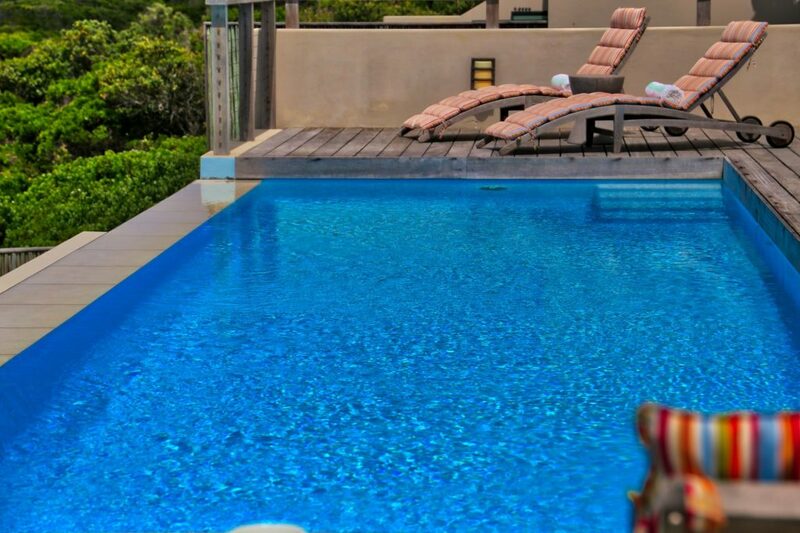 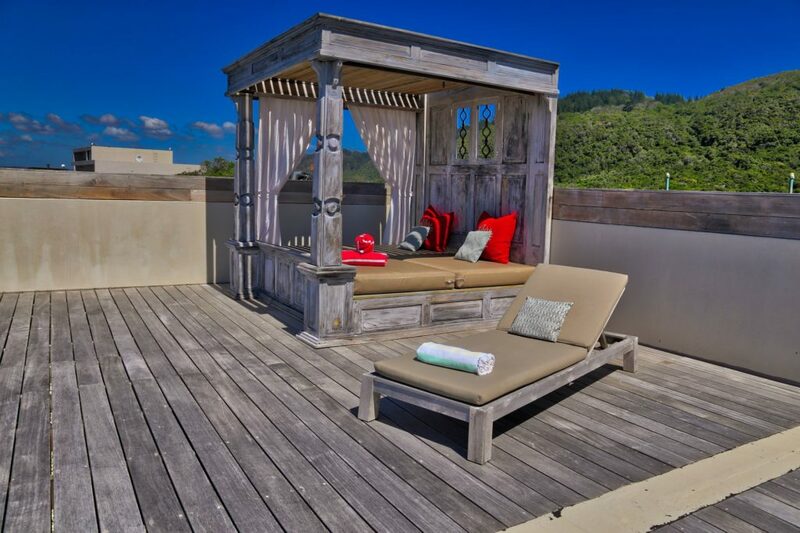 The spacious ground floor living area opens up onto a secluded and private courtyard to the North and a huge deck and swimming pool area on the beach side. 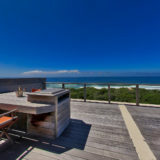 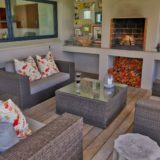 The house also has the trademark external lounge area complete with an open, wood burning fireplace – for those intimate group nights enjoying the stars and the crash of waves. 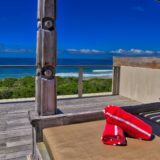 Vacationing in this beach house offers a luxurious and serene environment for those who want to be close to nature while enjoying the utmost in comfort. 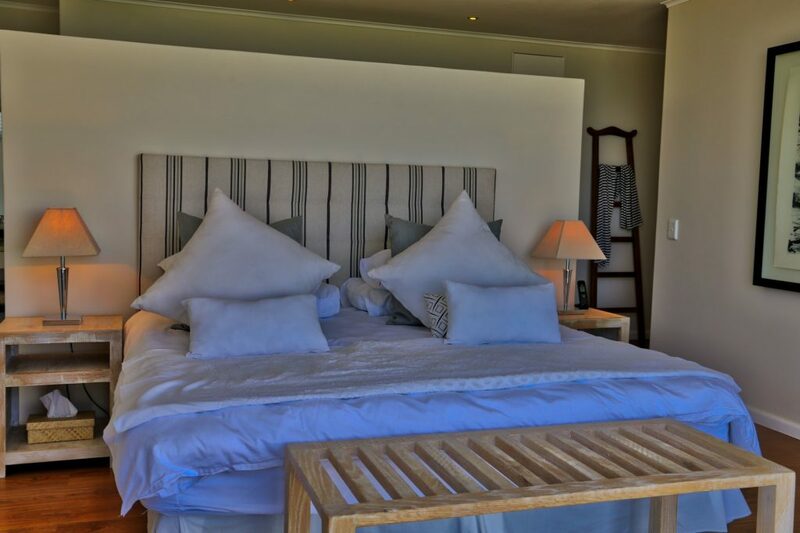 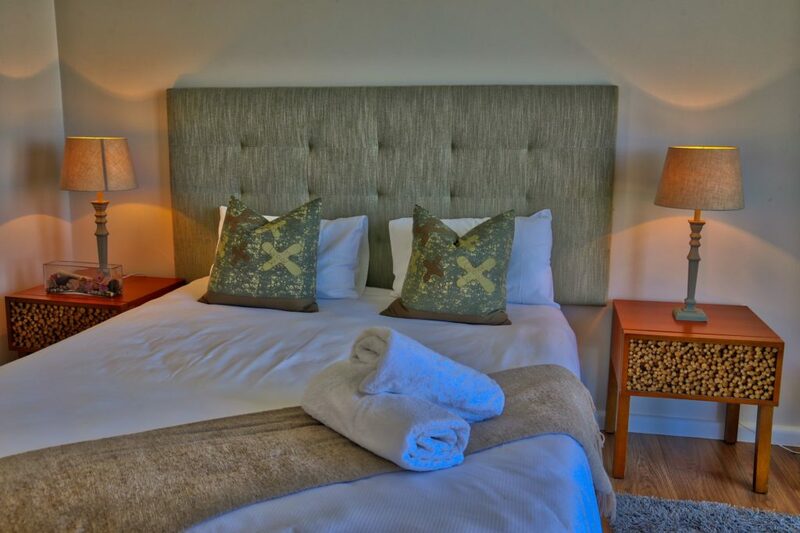 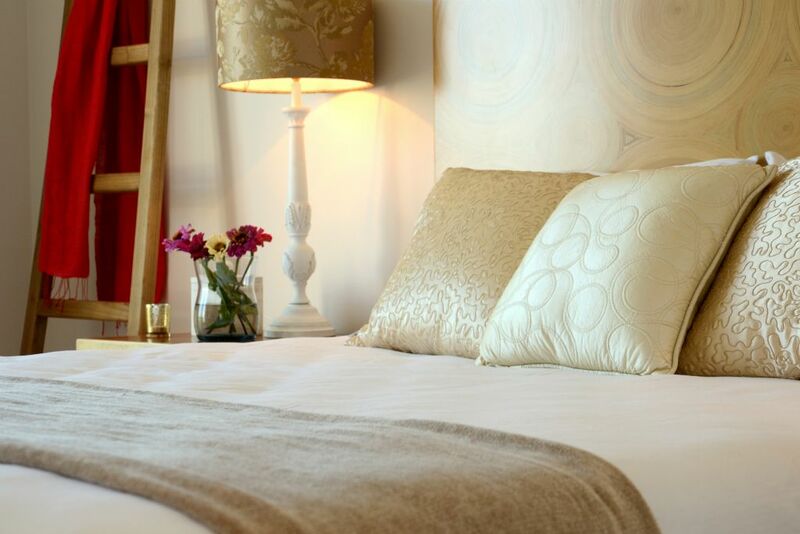 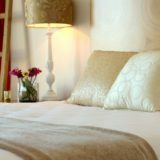 On the first floor there are four beautifully appointed bedrooms. 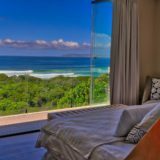 The large master bedroom affords stunning ocean views and features a king size bed, floor-to-ceiling fold-back doors and balcony. 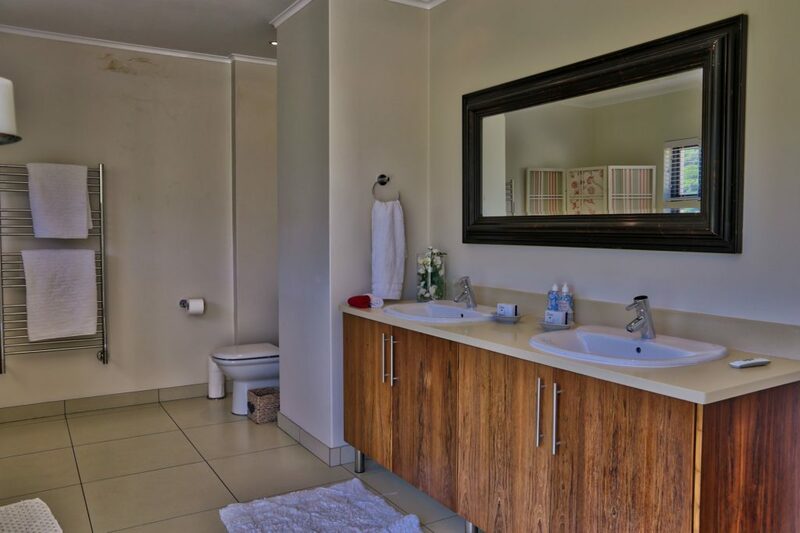 There’s a stylish en-suite bathroom with shower, bath and double-sink vanity unit, plus a dressing area with ample wardrobe and storage space. 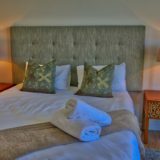 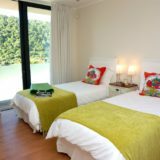 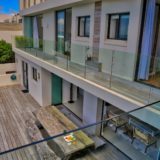 Two further double bedrooms, both with en-suite shower rooms and shared verandah, also enjoy spectacular sea views. 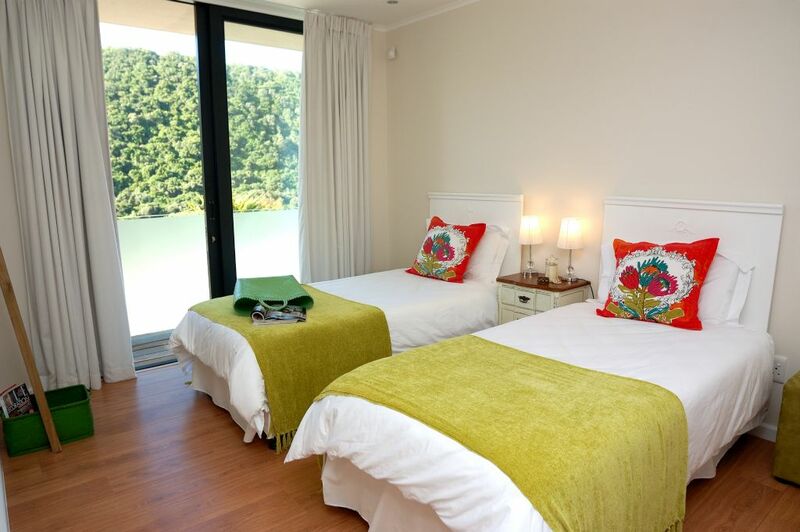 There’s an additional twin bedroom with en-suite shower that looks out north across the indigenous forest. 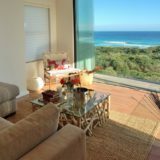 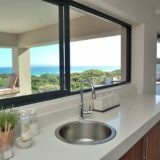 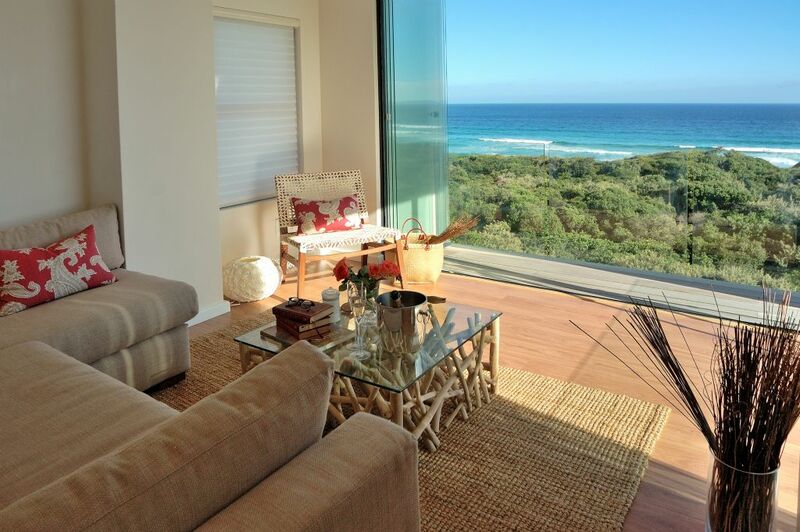 This house also a comfortable 1st floor sun lounge with frameless fold-back glass doors that offer superb views down and across the expansive beach area. 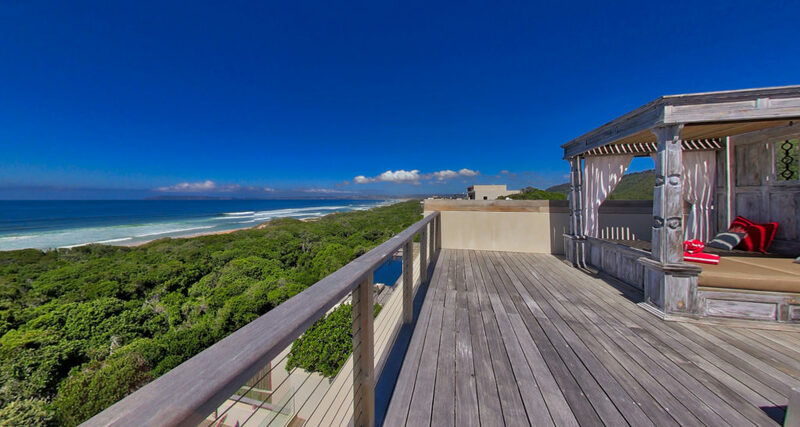 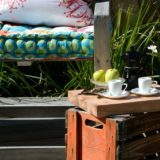 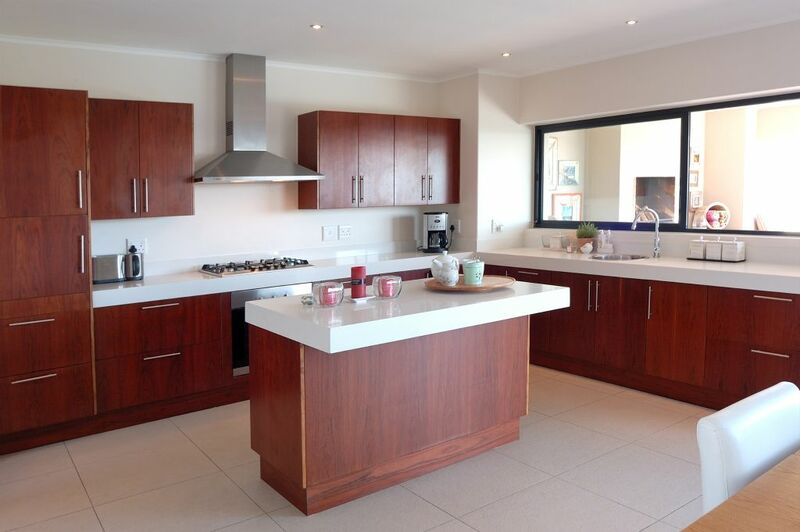 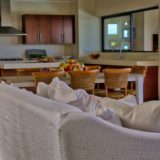 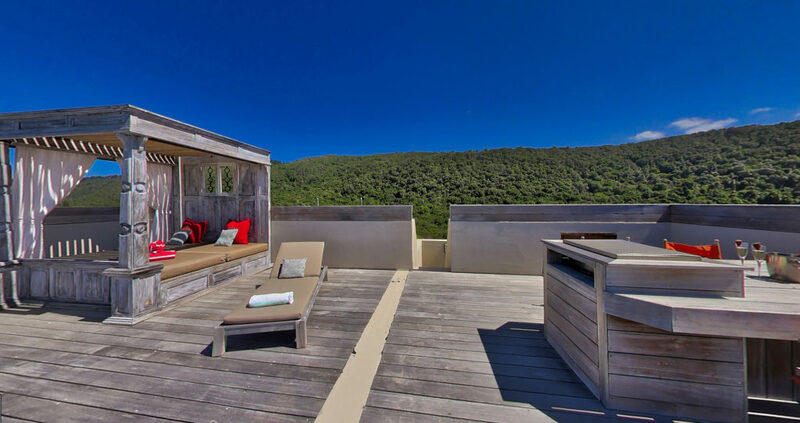 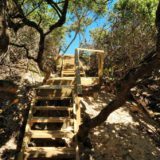 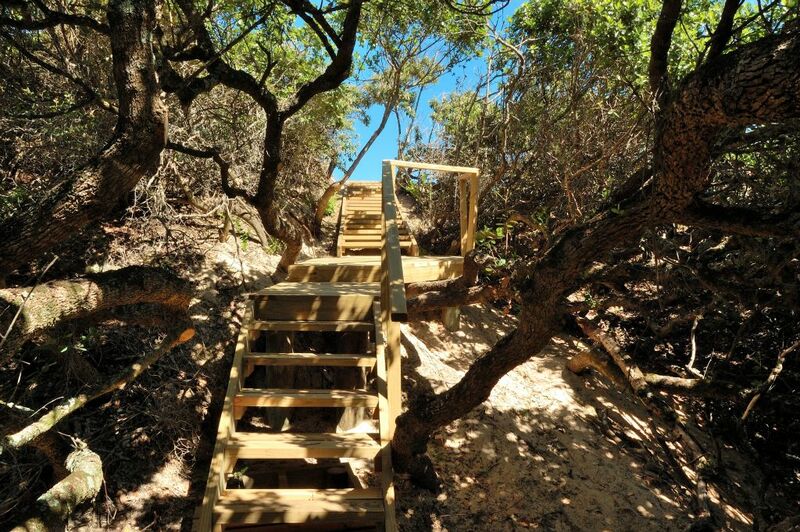 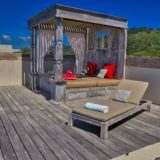 Climb a few more steps and you’ll reach large sun-deck and entertaining area with dining space and gas braai where you can escape and enjoy views across Plettenberg Bay. 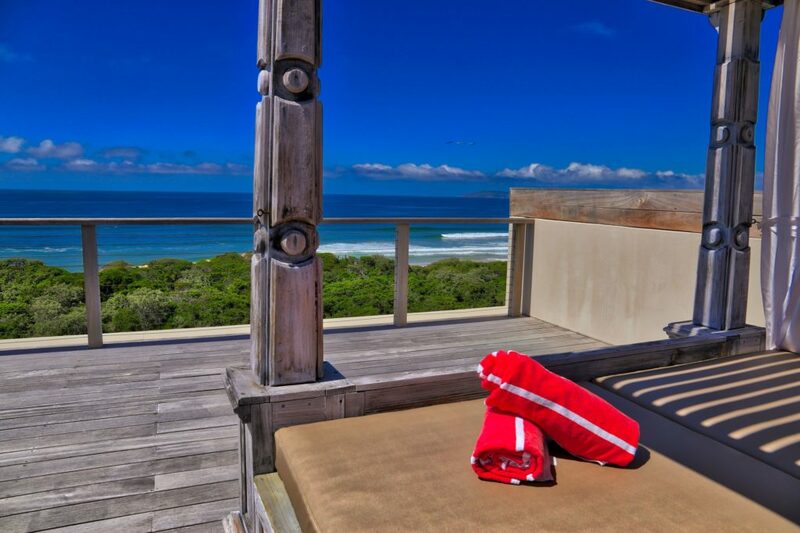 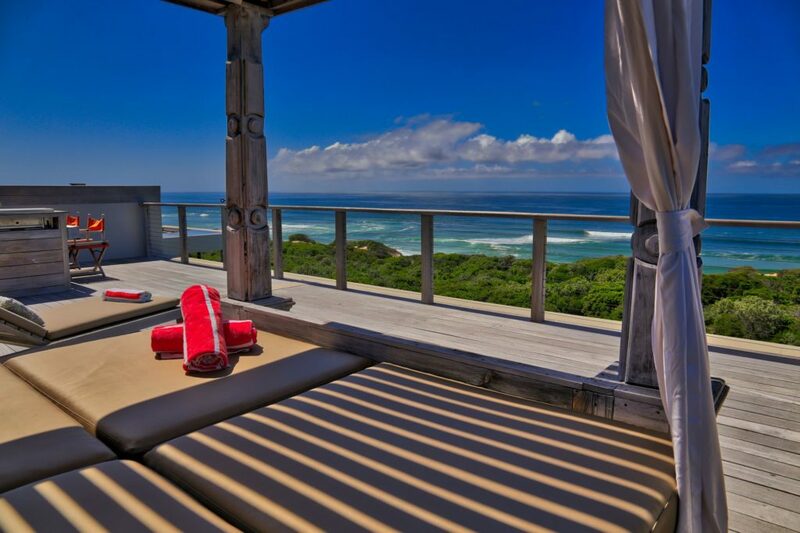 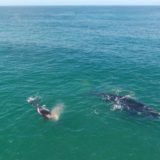 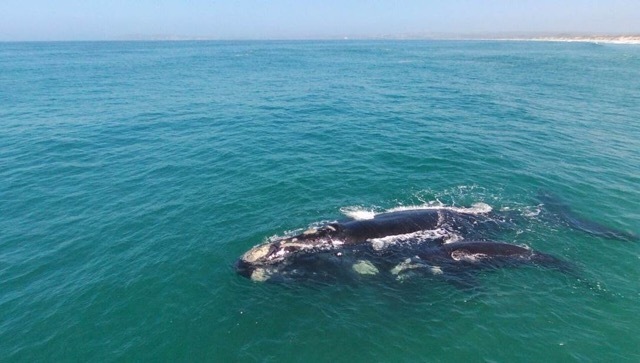 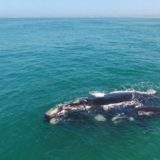 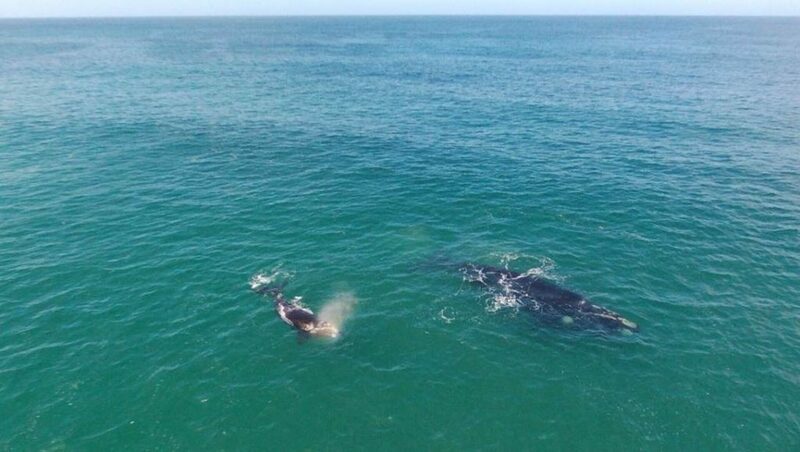 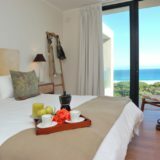 Where better to watch the Dolphins and Whales, enjoy sun downers or just gaze at the African stars at night!